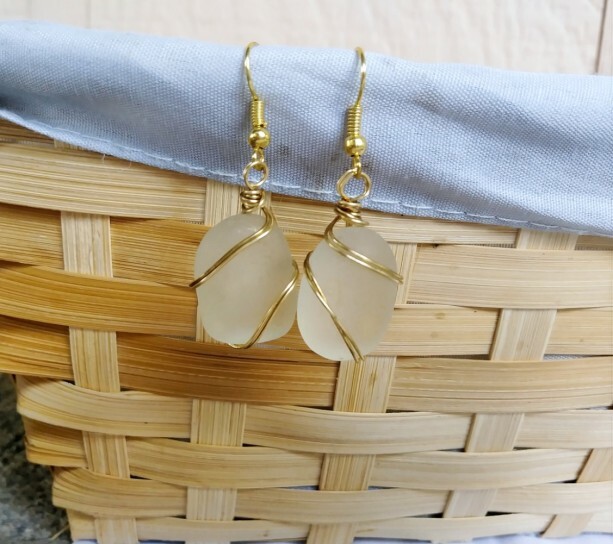 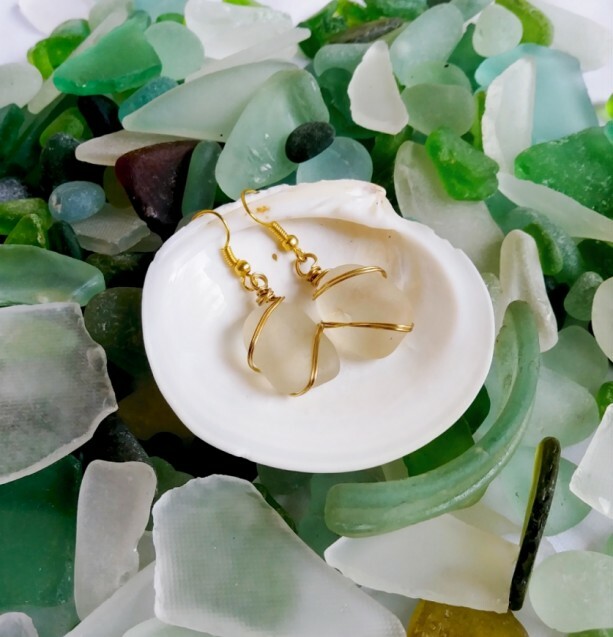 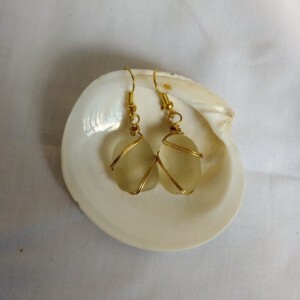 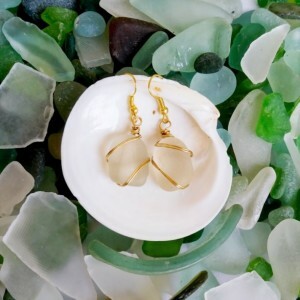 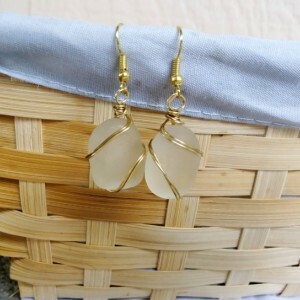 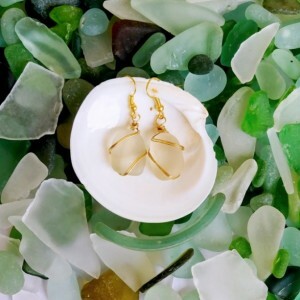 These simple yet classy earrings feature beautifully frosted genuine sea glass from the beaches of Hawaii, adorned with striking gold toned artistic wire wrapping. 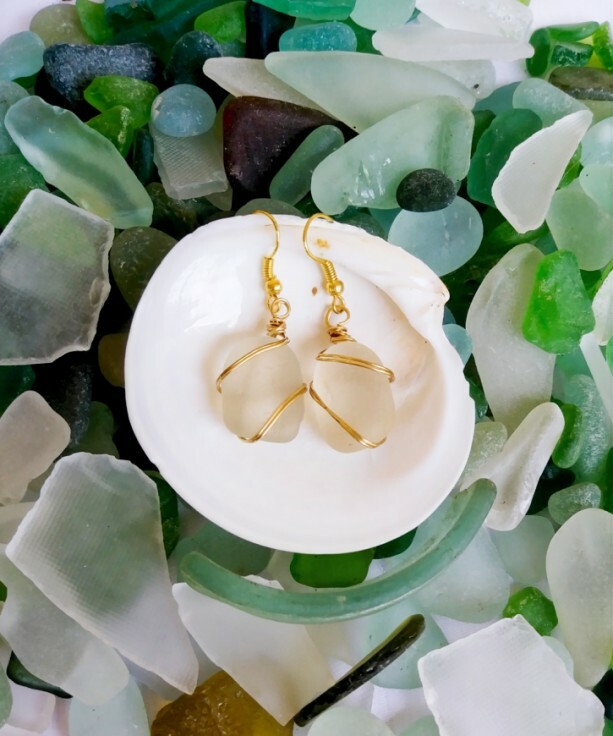 The perfect accent piece for any outfit, these earrings go from the beach to dinner with ease, and are sure to conjure up images of sandy toes on the pristine Hawaiian beaches. 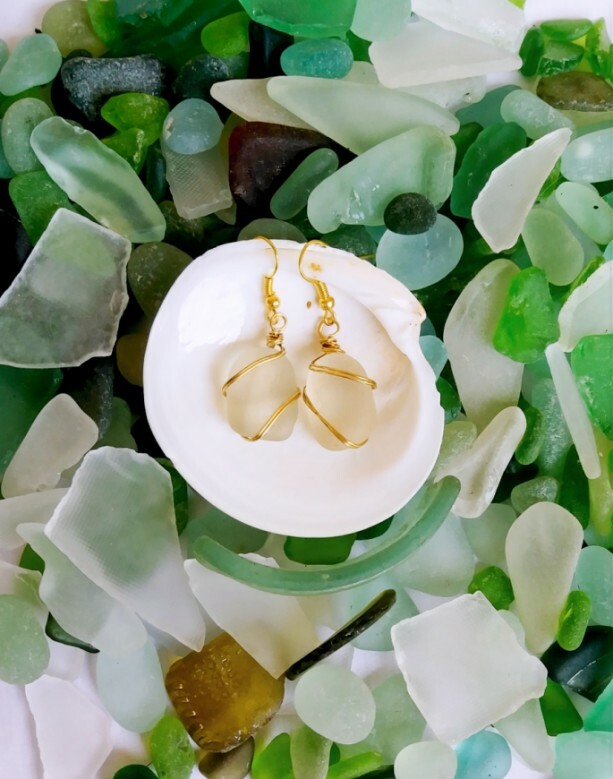 -Surf-tumbled frosted sea glass from the Hawaiian shore -Shining gold toned, double stranded artistic wire wrapping -Sea glass measures approximately .75" x .5"